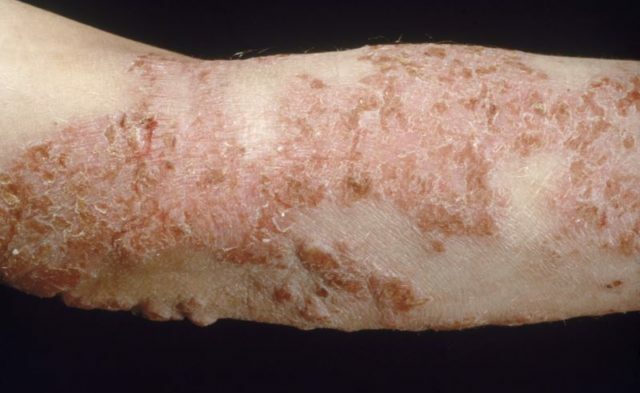 All of the 7 studies reported an increased likelihood of at least 1 extracutaneous infection among patients with atopic dermatitis. Patients with atopic dermatitis (AD) have an increased risk for development of extracutaneous infections, in particular ear infection, strep throat, and urinary tract infection (UTI). Moreover, some studies have also suggested that AD may be associated with the development of certain potentially life-threatening infections, including septicemia, endocarditis, and meningitis. Findings from the study were published in the Journal of the American Academy of Dermatology. The investigators sought to establish whether the occurrence of extracutaneous bacterial and mycobacterial infections is elevated among patients with AD. A total of 7 studies met inclusion criteria for the meta-analysis. All of the 7 studies reported an increased likelihood of at least 1 extracutaneous infection among patients with AD, including meningitis, endocarditis, encephalitis, sepsis, and bone and joint infections. In pooled meta-analysis, the presence of AD in both children and adults was associated with significantly higher odds for the development of ear infection (odds ratio [OR] 1.29; 95% CI, 1.16-1.43; P <.0001), UTI (OR 2.31; 95% CI, 1.66-3.22; P <.0001), and strep throat (OR 2.31; 95% CI, 1.66-3.22; P <.0001), but not for pneumonia (OR 1.72; 95% CI, 0.75-3.98; P =.20), compared with control subjects. No evidence of publication bias was detected among the studies that provided sufficient data for inclusion in the meta-analysis. A major limitation of this analysis, however, is the fact that individual-level data were not available. The investigators concluded that future translational studies on this issue are warranted in order to confirm these relationships and to determine the exact causal mechanisms of the association between AD and increased extracutaneous infections. The associations reported in this meta-analysis are clinically relevant, as many of the infections identified are linked to significant pain and discomfort, lost school and work productivity, and have the possibility of being life threatening.